The St Peter’s under 18 girls eight earned a silver medal in their A final. 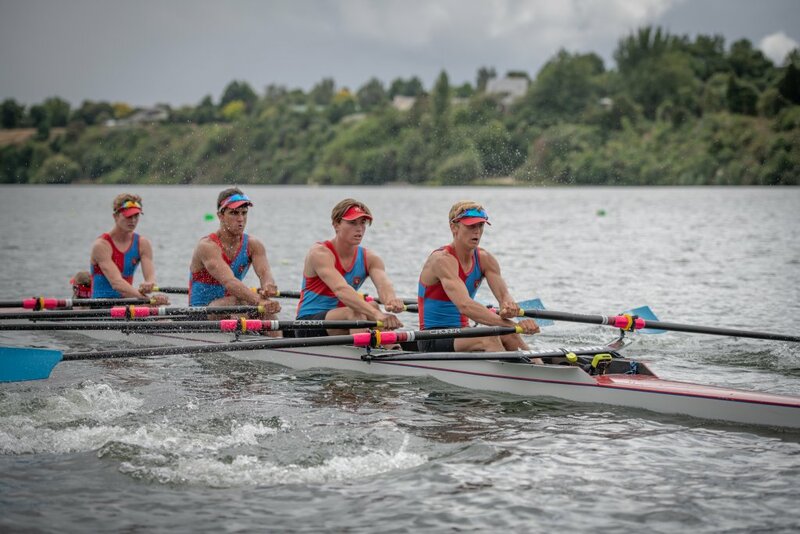 Photo – Conrad Blind / Picture Show Ltd.
St Peter’s School’s 77-strong team of rowers proved their worth at the 2019 North Island Secondary School Championships at Lake Karapiro over the weekend – winning the Derbyshire Shield for overall champion school with 61 points. They beat the notoriously talented Hamilton Boys High School which finished second with 52 points. St Peter’s School rowing coach Janey Wackrow described the event as “fantastic” after the school brought home eight gold, six silver and three bronze medals. Beckie Leigh and Jason Nel were the stars of the show winning the under 18 girls and under 18 boys single scull finals. Beckie went on to win the double scull event with Terri Wyatt, and Jason secured gold again with the under 18 boys coxed four. The gold-winning under 18 boys coxed four. Photo – Conrad Blind / Picture Show Ltd. 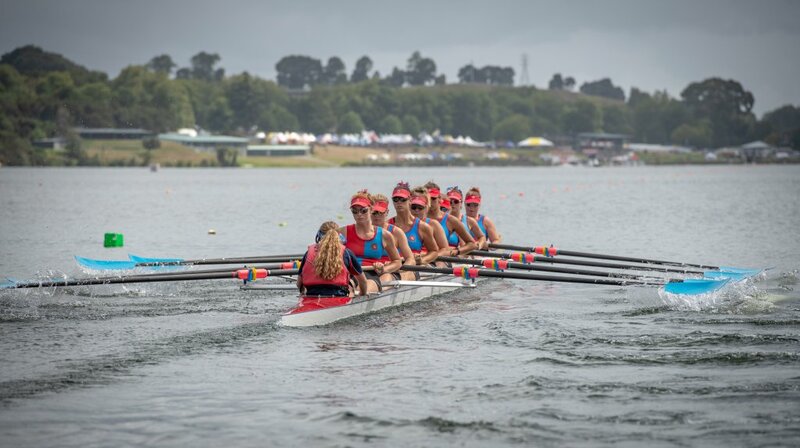 The St Peter’s team has positive hopes heading into the secondary school national champs at Karapiro later this month, known as Maadi Cup, being defending champions of the Levin Jubilee Cup. 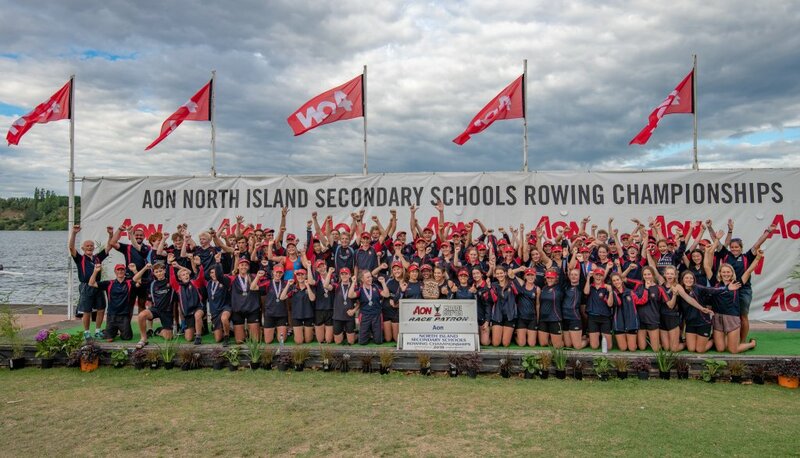 Around 1900 rowers from high schools around the North Island raced in the three-day event over the weekend. The Cambridge High rowing team finished up the competition with three bronze medals, earned by Cullen Aveyard and TJ Udy in the boys under 16 double, by Brea Mcdonald and Elle-Mai Wright in the girls U16 double, and the school’s U18 novice coxed four rowed by Brylee Deacon, Mya Tohia, Hannah Rickit and Isabel Oxenham, with cox Penny Wallis. Maadi Cup kicks off at Lake Karapiro on March 25. St Peter’s School earned the Derbyshire Shield for overall champion school at the North Island rowing champs. Photo – Conrad Blind / Picture Show Ltd.